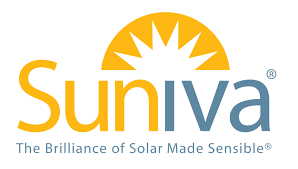 Suniva is an American company established in 2008 as the natural evolution of the Georgia Institute of Technology’s University Center of Excellence for Photovoltaic Research and Education, which was specialized in the research of PV crystalline technologies. The company produces monocrystalline solar panels and modules with a power ranging from 265 to 330 Wp, which makes them suitable for both residential and commercial applications. The company is also one of the major suppliers of photovoltaic technologies used for government uses: in fact, Suniva has worked with NASA, GSA and other national agencies providing them with PV materials to power their projects. At the moment, Suniva is active only in the local American market and has not set up any commercial office outside the country, meaning that Australian customers will have to get in touch with the American staff should they have any specific request. If you want to find out more about Suniva’s range of photovoltaic products, make sure you browse the reviews here below from customers who previously bought their solar panels, or just have a look at the modules listed on this page to find the ones that best fit your needs and requirements. Update: In April 2017, Suniva filed for chapter 11 bankruptcy.